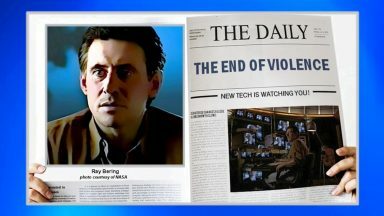 Cohen Media Group has made a featurette for Capital available on YouTube [Please note: this video no longer exists, unfortunately]. 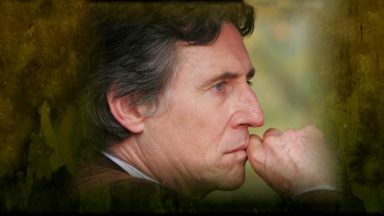 There is no discussion of Gabriel Byrne or his character in this interview, although you do see him in clips from the film. 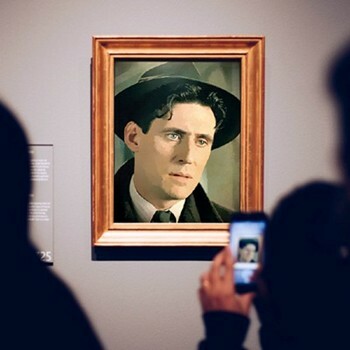 Director Costa-Gavras has insightful things to say about this film, Gad Elmaleh and why he chose him to play Marc, and the role of film in today’s society. I think Capital achieves this brilliantly. Cohen Media Group, the US distributor for Capital, directed by Costa-Gavras, released both a new poster and a new trailer today! 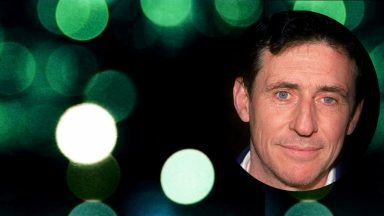 The new tagline for the film–Money is the master–is a line from hedge-funder Dittmar Rigule, played by Gabriel Byrne, and it sums up the global problem examined by the film quite nicely. It is wonderful to see Capital‘s promotional materials get spiffed up for the US release. And please see below for special appearances on both coasts by renowned director Costa-Gavras! Director Costa-Gavras is being fêted on both coasts, first in California and then in New York, as his latest film, Capital, makes its appearance here at last. 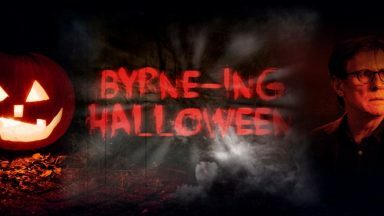 There is no word that Gabriel Byrne will attend either of these events, but you should, if you can! Each year, the Mill Valley Film Festival recognizes acclaimed filmmakers from around the globe. 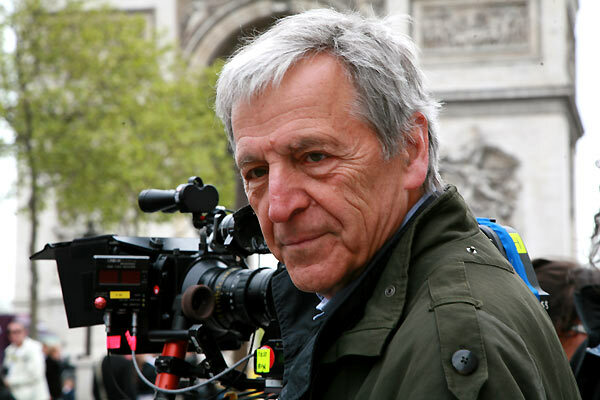 This year the festival is pleased to present famed Academy Award winning filmmaker Costa-Gavras with a special tribute. 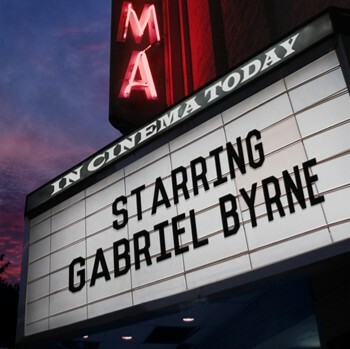 The Tribute on 4 October will include an on-stage interview, plus screening of clips from his past work and the Bay Area Premiere of his latest film Capital starring Gabriel Byrne, Gad Elmaleh and Natacha Régnier. Host Paul Holdengräber inaugurates this new OCC NY series of cultural dialogues by engaging writer-director Costa-Gavras in a conversation about his career and political cinema. 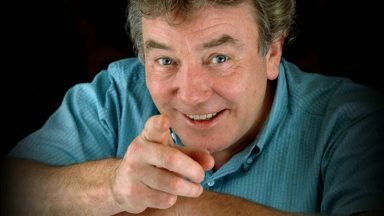 In his interview on the Le Capital DVD, Mr. Byrne discusses his recent experience working with Costa-Gavras and he also reminisces about Hanna K, which they made together in 1983. Many thanks to Det. 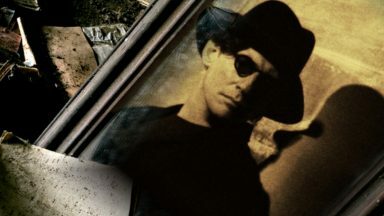 Logan for the heads up on the new poster! 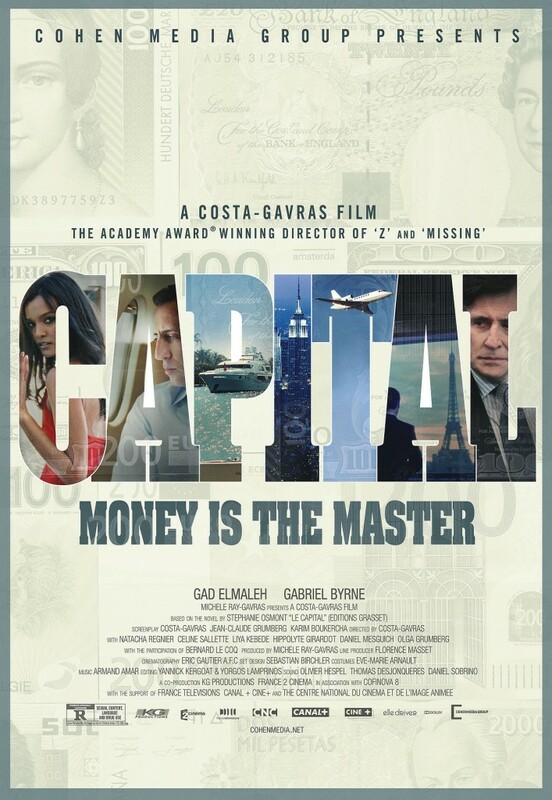 Thanks for showing us the new poster for Capital. I like both the new poster and the movie very much. It is a movie that entertains and also at the same time tells an important story about greedy culture. I hope the movie will be seen by many people in USA. 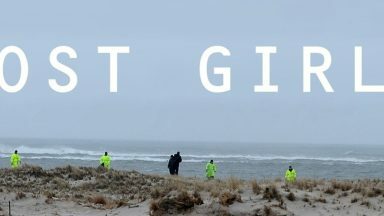 Nora, I really enjoyed this film a lot. 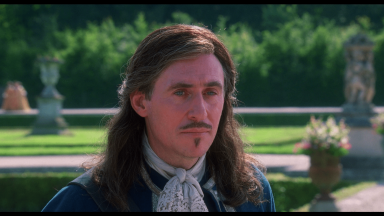 We see Gabriel Byrne in a role quite different from his previous work plus the story is engaging, sometimes viciously funny, and always moving FAST. Costa-Gavras is still at the top of his game and this film shows he is the master we all know him to be. And I, too, hope many people in the USA will see this film. It is a scathing analysis of global economics and the people who benefit from it. i enjoyed the preview of this movie alot seems like there is alot of interesting things behind the concept of this movie from what Costa- Gavras is describing such has showing us as the fans or viewers what really goes on behind closed doors of banking and the nature of this business.i wouldn’t mind seeing the full movie.